At Karbon Apartments, we understand the importance of finding a stylish apartment home for a price that fits your budget. Our quiet Bellevue suburb is the perfect home base for commuting to Seattle or Microsoft, going for a hike, or running weekend errands. Karbon Apartments is the ideal apartment community for those looking for a modern studio or one or two bedroom apartment on the Eastside. 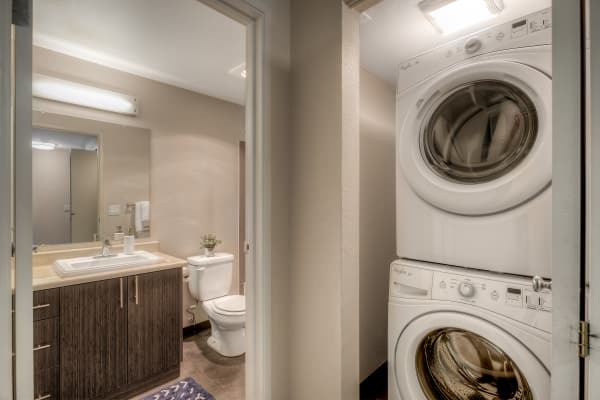 Each of our apartment homes for rent feature a washer and dryer, private balcony, and hardwood floors. 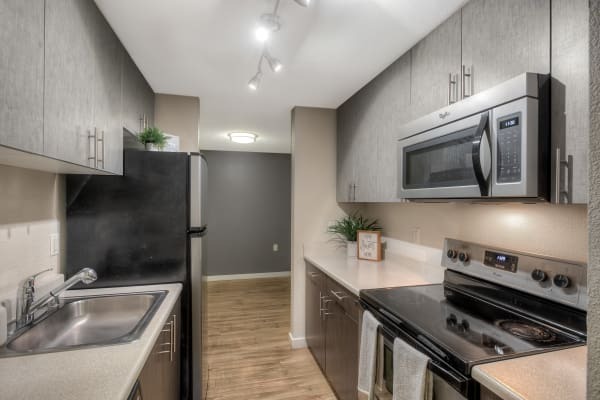 Karbon Apartments apartment homes have been recently renovated to include modern finishes such as stainless-steel appliances, brushed nickel hardware, and espresso cabinetry. Select homes feature a separate living and dining space, second bathroom, or walk-in closets. Enjoy the best of both worlds at your new Eastside home. Karbon Apartments brings urban amenities to Newcastle’s small town community. We offer modernized homes with open floor plans so that you can create your ideal living space. Our studio apartments are 520 square feet and feature a full-size bathroom and generous bedroom space. One bedroom apartments are 650 square feet and include either a separate laundry room or extra closet. Two bedroom apartments are 850 square feet. Select homes have a second bathroom. Your next Eastside apartment is waiting for you at Karbon Apartments. Browse our floor plans and then schedule a personal tour of your favorite.